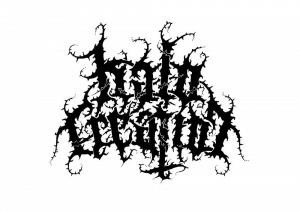 One of the more visible outfits swiftly ascending the international underground is Austrian death metal band Halo Creation. The quartet was formed in Vienna, Austria in 2013 uniting members of several low-key projects into one better formulated entity. “Demo 2014” is the first of its output, and while victim of a few modern day falterings, it is a lot more traditional in approach than what is the standard of the genre. The demo isn’t a game changer of any kind, but its genre purity is never played up as a cheap marketing gimmick, neither is its frontwoman. 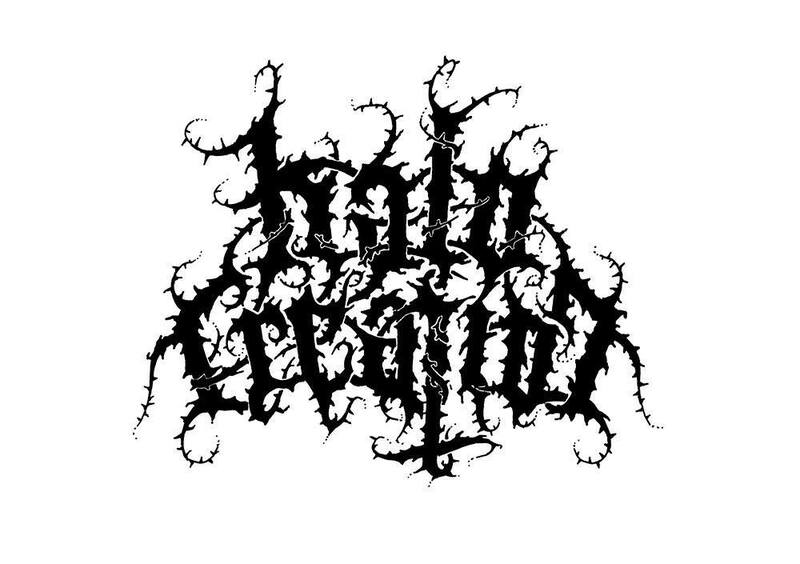 Halo Creation doesn’t brag about being death metal, they just are. It’s a welcome breath of fresh air in a stagnant genre oversaturated by gimmicks and ploys. The band is fronted by the delightful Eva Oswald (previously of shortlived death metal band Exanimalis). She combines the guttural bark of Rachel Heyzer (ex-Occult, Sinister, Infinited Hate) with the serpentine femininity of Rafaella Rivarollo (ex-Opera IX) and Melissa Gray (Adorior). Oswald is an obvious selling point as she’s both feral and seductive in equal measure. The band, or its management, has understood this and plays her up as the spokesperson and face of the band in its promotional material. More importantly, however, is that Oswald can hold her own among her male peers. In fact she’s a lot more expressive and nuanced than her characterless, gurgling counterparts. ‘Downward Path’ is custodian to some interesting footwork and cymbal usage, but the drumming is flat and merely holding down the beat otherwise. ‘Volatile Waters’ is the probably the fastest song of the demo. ‘Fading Sun’ is a faster Six Feet Under (circa “Haunted”) song with a Swedish melodic slant. The chugging (and highly regressive sounding) second half of the song is redeemed by its solo. Halo Creation varies up its songwriting enough but is marred by a limited riff set. ’Through the Looking Glass’ , like the opener, has more diversified drum work and the guitarists finally attempt to break away from the same three riffs they used before. Each song has one or more solos, and hopefully Halo Creation will further integrate said blazing soloing into its future material. Likewise is the drumming merely functional in holding down the beat and being on time. Armin Haydari is more of the post-1996 Adrian Erlandsson school of drumming than that of Aad Kloosterwaard, Pete Hammoura, or Lee Harrison. The riffing and chord progressions are akin to a more simplified, streamlined and less speed-focused “Dream Deceiver” Dead Head. The grooves are squarely in the “Spiritual Healing” Death and “The Bleeding” Cannibal Corpse tradition. In fact Halo Creation is decidedly traditional in its writing style. The band isn’t overly technical, but more concerned with a good vocal hook, solo and/or crushing groove. However Halo Creation never reaches the same plateau of songcraft as both aforementioned acts/albums, which is excuseable given how short they have been around. The rhythm playing isn’t very remarkable and relies on colorless chugging more than anything else. It does make the fiery leadplaying stand out as an unintended side-effect. The bass guitar doubles the guitars almost to a fault whereas some more adventurous and funky licks would have greatly benefitted Halo Creation’s music and writing. None of the songs are particularly evil or malevolent sounding in either key, mood or riffing, which used to be a requirement of the genre up until the late 1990s. As a starting point “Demo 2014” hints at a few potentially interesting directions wherein Halo Creation can take its sound. The bass-heavy production, entirely home-recorded and mixed, can measure itself with any pro studio-produced effort for the most part. It isn’t entirely without fault as the rhythm guitar tracks tend to miss body and weight. Oswald’s fierce growls and rasps drown out the thin rhythm tracks. The bass guitar is audible at all times, and the drums thankfully sounds warm and organic. The tones of the snares, toms and kicks sound better than usual for the genre. Next to the full-bodied kick drums the rest of the kit tends to sound flat and plastic. The thing to take umbrage concerning the drum sound is that the kit sounds inert, flat and powerless, kick drums excepted. Functional as though it might be its effect is crippling. To fully unlock its dormant sonoric potential it would benefit Halo Creation to have its full length debut mixed and mastered in a professional environment such as Soundforge Recordings, Iguana, Soundsight or Woodshed Studio. “Demo 2014” isn’t about reinvention or pushing boundaries as much as it’s about solidifying the strengths of established conventions. They rely a bit too much on late 90s/early 2000s (repetitive riffing, directionless chugging, focus on groove) genre tropes than is advisable, and as such might paint themselves into a corner creatively in the long run. Perhaps they should look into what death metal bands of the late 80s and early 90s who possessed a similar skill set did with their signature records – and how they captured a depraved atmosphere through similar means. There appears to be a world of the genre that this band (and its members) are apparently completely oblivious to. Once they push their limits further and grow as songwriters then Halo Creation will turn into something truly interesting. As a starting point the demo is commendable in what it intends to convey but it is hardly mandatory or vital to anybody’s collection. As of now Halo Creation is still a tad too unadventurous to be called anything else than a hopeful.